Located off of Highway 22 in Crestwood, you will find the established neighborhood known as Croftboro Farms. Homes in Croftboro Farms began being developed in the 1970s and continue to be developed today. Homes in Croftboro Farms range from $175,000 to around $470,000. 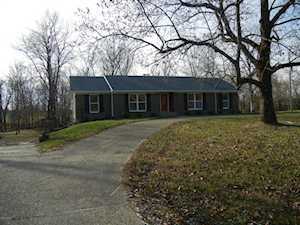 The Hollinden Team updates this search for Croftboro Farms homes on a daily basis from the Louisville MLS. If you interested in seeing any of these homes, we would be happy to help you. Many of our buyers and sellers have given The Hollinden Team positive reviews. Feel free to use the Advance Search Tools of our Louisville MLS to find other houses for sale in Crestwood. Click on the map to the left to view each home for sale in Croftboro Farms. There is a satellite view button in upper right. Houses in Croftboro Farms typically have three to five bedrooms and two to four bathrooms. The square footage usually ranges from 1,600 to 3,400 square feet. Each home in Croftboro Farms sits on a few acres, usually one to five acres per lot. You will also find that in Croftboro Farms, each home has its own unique style. You really don’t see many homes that look alike in this neighborhood. Some of the styles of homes you will find in this neighborhood are brick ranches, vinyl homes with large front porches, brick and stucco cape cods, and wood/stone contemporary homes. About half of the homes in this neighborhood have a first-floor master bedroom. Most of the homes in this neighborhood have a basement, and many of the basements are finished and/or are walkout. The closest Walmart is located at 6501 Veterans Memorial Pkwy and is around six miles away. The closest Kroger is located at 12450 Lagrange Road and is about eight miles away. Crestwood does not have a lot of places to shop but there are a few. A few popular clothing boutiques in Crestwood are The Clothes Boutique, Kaelis Kloset, and Bobbi Lynn’s Boutique. A couple of the other stores you can find in Crestwood are Dollar General, Advance Auto Parts, Crestwood Hardware, Rug Man II, Hallmark, Walker Fabrics, Peppermintz Equine Consignment, and Minish & Potts Florist. If you want to go to an actual shopping center, the Paddock Shops in Louisville is only about eight minutes away from Croftboro Farms. Crestwood falls into the Oldham County school district. If you live in Croftboro Farms, the following schools will be your child’s home school: Centerfield Elementary, East Oldham Middle School, and Oldham County High School. If you would like to learn more or have any questions about any of these Croftboro Farms houses for sale, or others in the zip code 40014, just click the "Request More Information" button on any property detail page. Our team can provide you with past sale information, comparables, disclosures, PVA assessment, and tax information – we would love to answer any real estate questions you have.